The combination of continuous whitewater, warm weather and easy access to the river made it one of the best places I have ever trained at. It was an amazing experience for me as I was able to observe how the top paddlers of the world train in their off-season. The living situation was ideal; chalets are equipped with kitchens and three bedrooms that are walking distance from the course. It was like I lived in this cute little village filled with elite athletes! I can without a doubt say that Wadi Adventure has become the IT winter training site for high performance slalom athletes. I anticipate the Canadian team returning to this paddlers’ haven for many more training camps to come. We had a very successful training camp and we also had a chance to be apart of the Emirati culture. 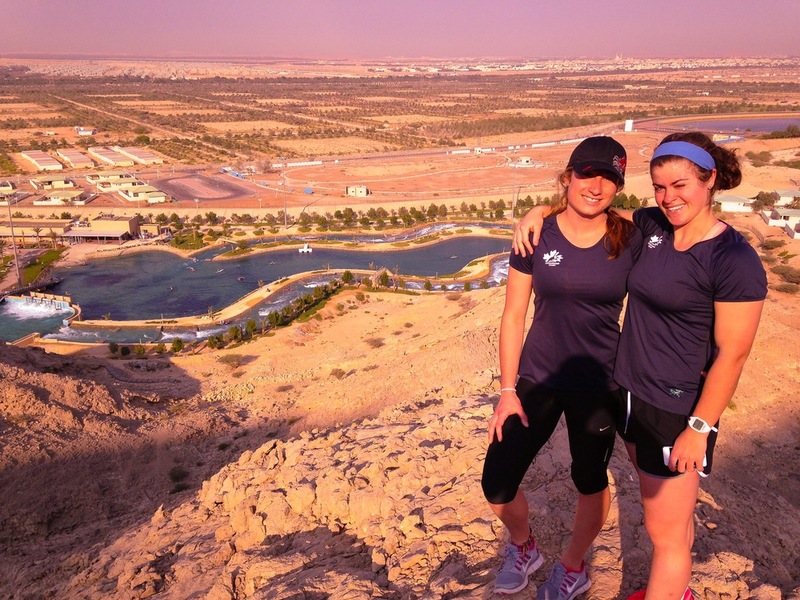 So what can athletes expect to encounter while training in the United Arab Emirates? 1. Call to Prayer Don’t be alarmed if you are awoken at 6 a.m. to the echo of a male Arabic voice blaring through the streets. About six times a day, all radio stations, local television stations, and mosques synchronize a prayer to be heard by the masses. 2. Hole-in-the-ground toilets The UAE was by far one of the cleanest countries I have ever experienced, but do not be fooled. They still have some quirks that were hard to warm up to. Although a bathroom faculty is very tidy and clean I would always be surprised when I entered a stall to find a metal hole to squat over. 3. 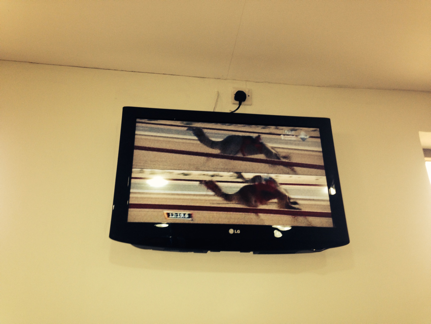 Camel Racing In western culture we enjoy watching a good horse race, but in the UAE it’s camel racing. There were several camel races surrounding major cites such as Dubai and Abu Dhabi. The camels are ridden by robots. 4. Cover Up In urban settings despite the temperatures consistently remaining in the high 20s, in respect of their culture, I felt more comfortable with almost my entire body covered by clothing, consisting of loose pants and loose t-shirts or long sleeve shirts. Always cover up. 5. The Fast Food Diet They love their fast food. The nutrition habits of the Emirates were evidently very heavily based on KFC, Pizza Hut, and McDonalds. I consistently saw ads about diabetes being a major issue. According to the Middle East Health Mag By 2020, 32 per cent of the adult UAE population (aged 20-79) may have diabetes or pre-diabetes, while other data indicates that the adult UAE population (aged 18 and above) has already reached a diabetes or pre-diabetes rate of 44 per cent. 6. Dates! Dates! Dates! They may eat a lot of fast food, but at least they stay regular with a daily intake of dates. I found every variation of dates you could think: date crackers, chocolate covered dates, date yogurt, date drinks… you name it and they have probably already thought it and manufactured it. 7. Lots of Wealth I have never seen so many Bentleys, Lamborghini's, Mercedes, Range Rovers, and Ferraris in my life! With the economy booming because of the development of oil and gas in the Middle East, the government has decided to give back to the people. Dubai has the tallest building in the world, two of the biggest malls, the only indoor ski area, and man-made islands… enough said. 8. Separation of Women and Men The UAE is a male dominated country. Period. 9. Crazy Driving We were always very alert while driving, as the rules of the road were really every MAN for themselves. Signalling and driving in the painted lines didn’t seem to be the norm. The road consisted of many U-turns, traffic circles, and fast speeds. 10. A side note for Canadians: there are Tim Hortons everywhere, so you can have a little taste of home while on the road. As an athlete and as a tourist I look forward to returning to this land of stark geographic differences such as km’s of desert sand and astonishing architecture. The opportunity to paddle in warm water and to immerse myself in a different culture allowed me as an athlete to push my physical, emotional, and cultural perspectives.